Big Skies Bike Rides is the name given to eight cycle loop rides 'launched' in 2010. They take their name from the phrase used by David Hockney when he compared the sky over the Yorkshire Wolds to 'the big sky' he experienced in the American West. 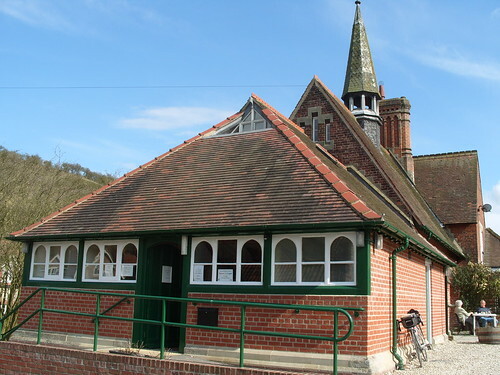 This 21.5-mile route starts in Malton/Norton and passes through Birdsall, Thixendale, Warram le Street and North Grimston. On the day I completed this route I had ridden there with some other Hull & East Riding CTC cyclists from Cottingham Green near Hull. The Big Skies Bike Rides booklet produced by 'Visit Hull & East Yorkshire' points out that Malton has a railway service, currently operated by First TransPennine Express. But if I were to drive to this circular route I would start the ride from Thixendale; that way this anti-clockwise loop would end with a descent of the beautiful Water Dale back to Thixendale, and perhaps a pot of tea and a slice of lemon drizzle cake at the Village Hall. Thixendale from Malton is by far the most challenging of the Big Skies Bike Rides. The excellent booklet describes this ride as 'hard' – the only one with such a category – I might have preferred 'tough', certainly when compared to, say, the Driffield loop. The way out of Malton is through Langtoft Wold along a road that can be busy. It's fairly hilly, too, and the first of two category five climbs. Not long after is the category four climb of Birdsall Brow. It's not as steep as the third climb of the route, but it does go on for longer. There's a nice view at the top of the hill but, sadly, my photograph doesn't capture the huge vista. At the crossroads shown above (point 3 of the map) a left turn takes the grateful rider towards a glorious descent of more than two miles in to Thixendale (see video later). 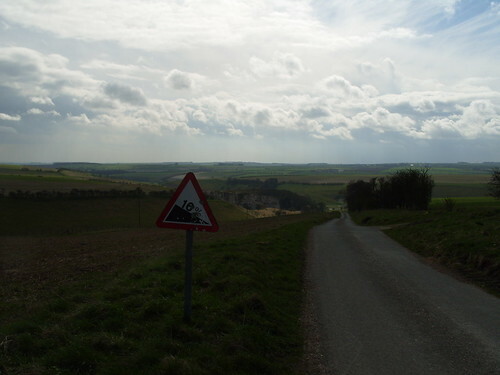 None of the Big Skies Bike Rides follows a route that takes cyclists up the steepest of hills in the Yorkshire Wolds (Nunburnholme, Hanging Grimston, Sherburn Grits etc. ), but there are a few testers on this ride. Fairy Dale from Burdale is, for me, the steepest section on these official routes, even when compared with the climb out of Settrington on the Yorkshire Wolds Cycle Route, but it is over relatively quickly. In good weather there are lovely views to be had after conquering this gravelly, single track road (drivers always seem to be considerate in these parts and are likely to pull over) and following it towards Wharram Percy. Cyclists with chunkier tyres than my 700x25c Gatorskins are invited to take a stony stretch of the Yorkshire Wolds Way (near to point 7 of the map), but I've never risked it. I prefer to follow the alternative route – a short, downhill few hundred metres along the B1248 – and then turn off to the left in Wharram le Street. After here there are some wiggly, poorly surfaced lanes that lead to North Grimston, but avoid the B1248. From North Grimston the route is unremarkable, but pleasant enough, with a descent in to Malton – particularly welcome if you started the ride there. If you are in need of refreshments my personal preference is the Yorkshire Tea Rooms on Castlegate in Malton. On the day I did this route my companions sat on the benches at the railway station eating their sandwiches whilst I had an omelette and chatted with a cyclist from North Yorkshire. I probably ate too much for the long drag back out of Malton to the south. This is a challenging, but rewarding ride that requires a bike with low gears and, I would suggest, a cyclist with a fair degree of fitness. If you choose to start the ride in Thixendale you could bypass Malton all together by avoiding the out-and-back road from points 2/10 on the map (although that also does away with the purpose of these 'Visit Hull and East Yorkshire' day rides). The video below was taken later than the images above, in June 2011, and shows two descents in to Thixendale. The first, Water Dale, is both my favourite Thixendale ascent and my favourite descent. 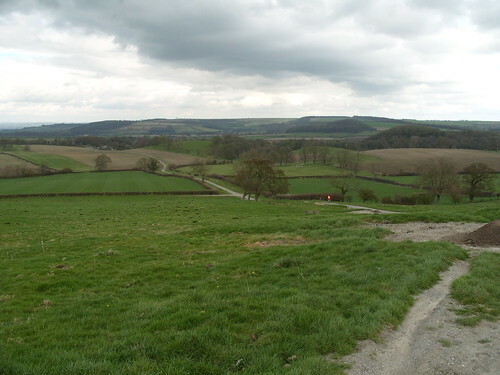 There are no fewer than six minor roads that serve Thixendale's population of around 130. 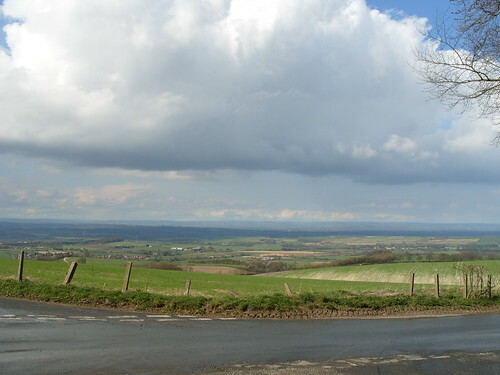 This is quite typical in the Yorkshire Wolds; the sheer numbers of quiet roads that radiate from such small villages add up to the network of country lanes that criss-cross the area and – together with the changing landscape and rolling hills – explain the appeal to cyclists in this part of Yorkshire. Posted by Chris on October 9th, 2011. Your 'Big Skies Bike Rides' posts have really opened my eyes to an area of the country that I would never have considered to have much to offer the cyclist. Your descriptions would also be really helpful to anyone living/visiting the area – bit far for me tho! That second descent looks a bit rough! i would suggest he takes the camera back as it appears to be stuck in slow motion!!! If you get Cycling Active (or flick through it in WH Smiths) there are often ride reports of the Big Skies Bike Rides – or variations on them. The latest (November 2011) has a report of Sledmere Country from Sledmere, only in reverse for some reason. Yes, the road through Thixendale Wold is rough. In fact the Water Dale road is in by far the best condition. It was resurfaced earlier this year (or was it 2010?) and makes a huge difference going up and down.